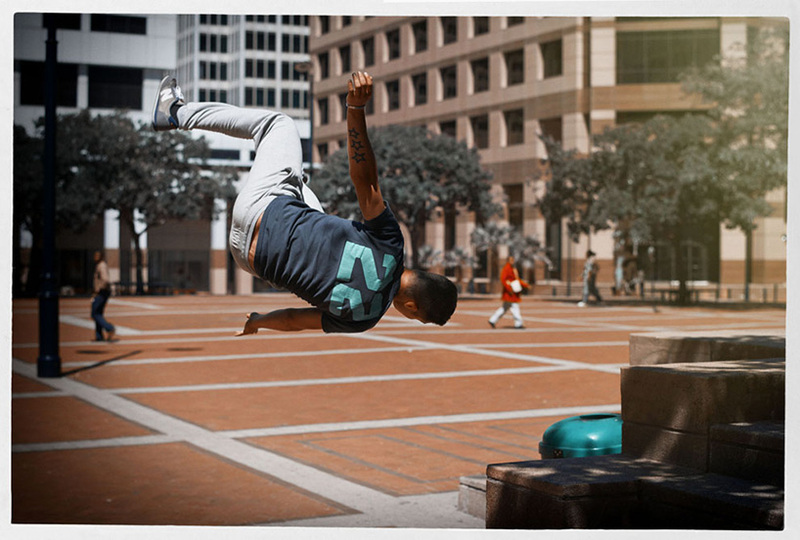 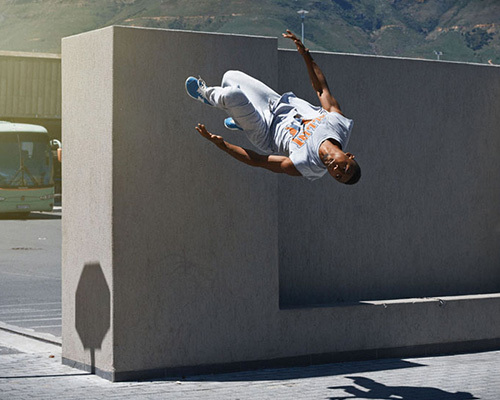 for the skill and risk required in parkour — a movement discipline where athletes propel themselves from place to to place using high speed and momentum — professionals require an incredible understanding of discipline, control and knowledge of themselves. 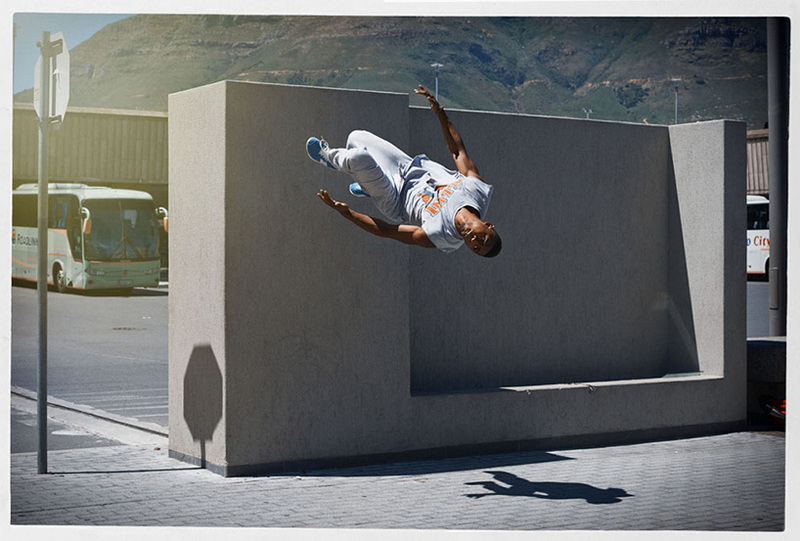 these characteristics motivated photographer dimitri daniloff to capture a series of images which freeze extraordinary moments from the ultra intense sport in time. 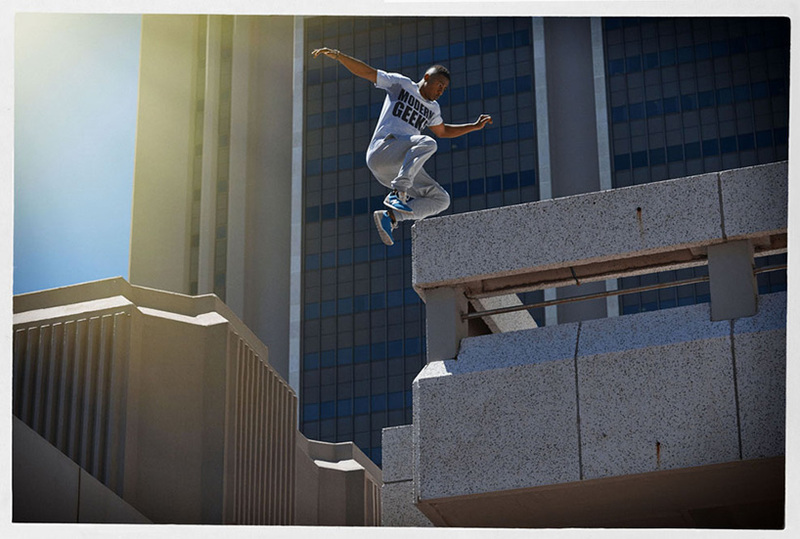 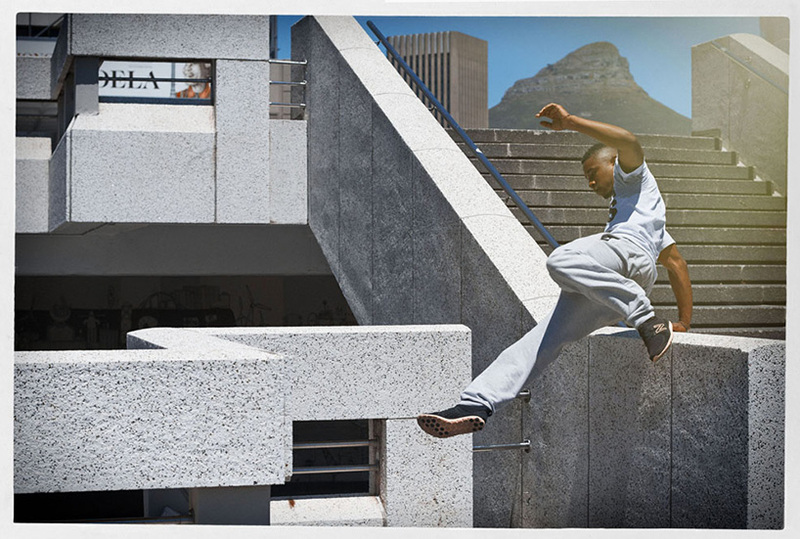 with kundai kenji murapa, brand ambassador for new balance south africa and director of sabotage elite parkour, as the subject, daniloff seizes a split second into a single frame — extreme altitude jumps off towering structures, whirling flips from storey-high staircases and mid-flight flings across adjacent concrete beams. 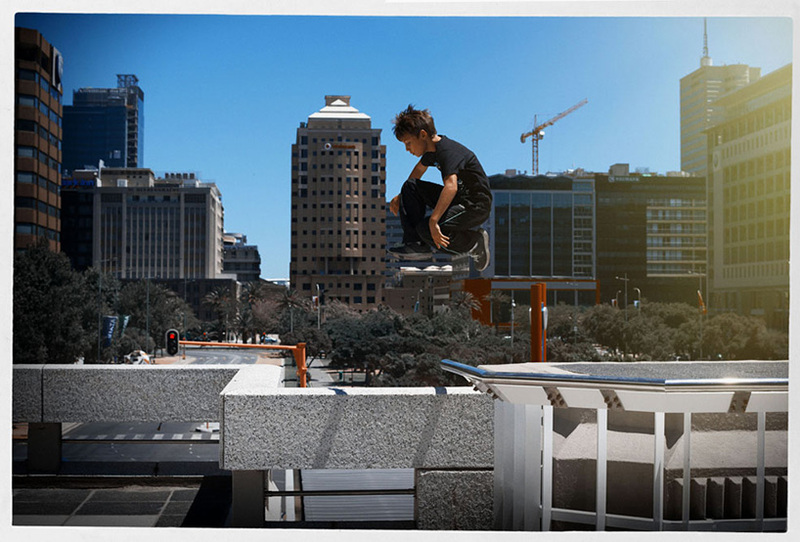 ‘the idea I like behind parkour is that it’s not about going beyond your limit and taking a risk’ daniloff describes, ‘it’s more about knowing exactly what you’re able to do’. 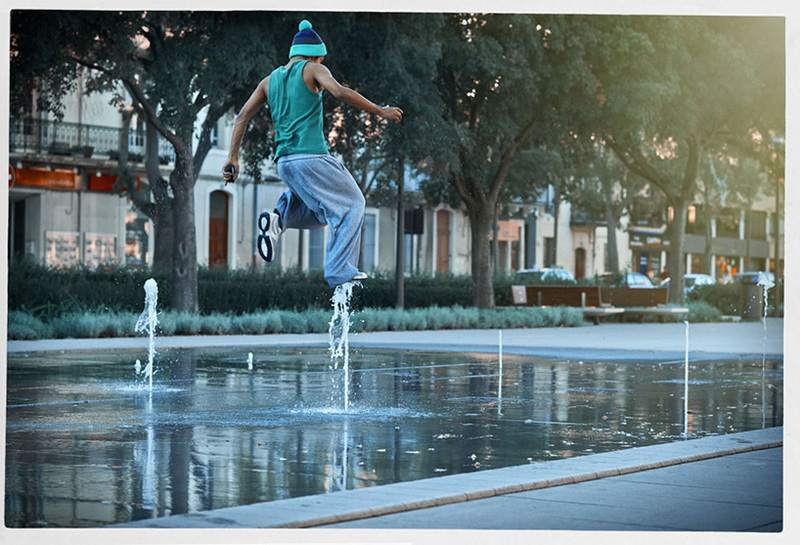 The composite ones, like shooting when he´s on top of the water fountain and the ones that you can see the several steps on the same picture are very cool. 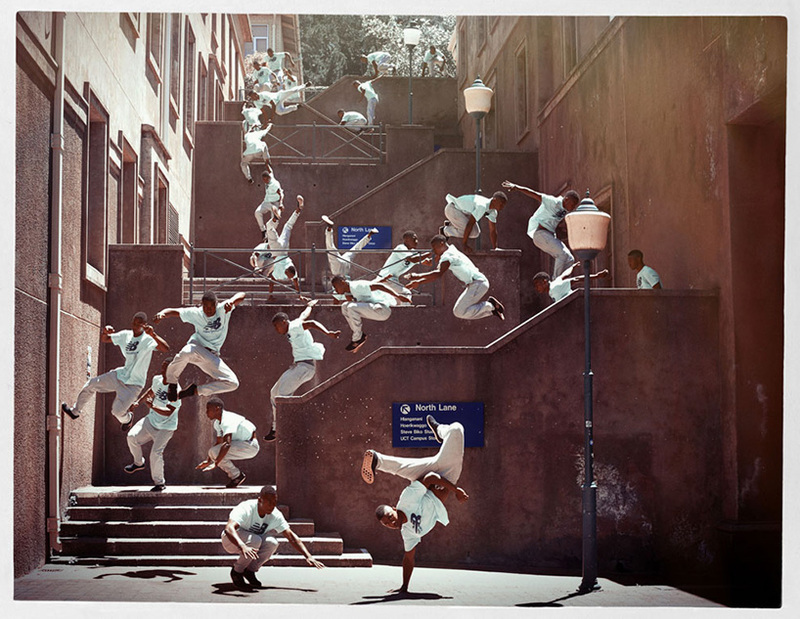 The others are pretty average, because it´s something anyone can do with a good camera and some parkour guys.